Connecticut College was founded on the ideals of social justice, which are still exemplified today by its open-minded and diverse community. Its distinction amongst peers rests in its ability to integrate rigorous academics with practical training and hands-on engagement with the world. 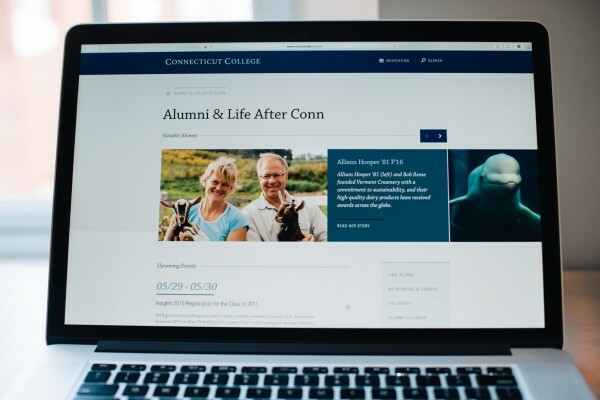 Connecticut College offers students an opportunity to create their own pathways in a highly challenging yet supportive environment where deeply-engaged faculty are dedicated to the growth of every student. To be sure this is a strength that its competitors do not yet offer, but how do you convince students and families that it is a true competitive advantage? 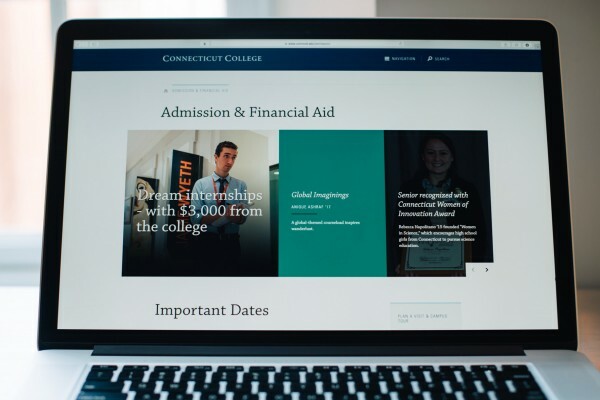 This was our challenge with the redesign of Connecticut College's website. We set out to focus on narratives that elevated perceptions of the majors offered at Conn, student outcomes, the idyllic campus location and the real value of a liberal arts education. We also wanted to convey how students value the supportive and nurturing environment Conn provides, and how it adds to the value of the school, versus softening its edge as a competitive institution. Conn College suffered from what many sites do - the "Wall of Words." 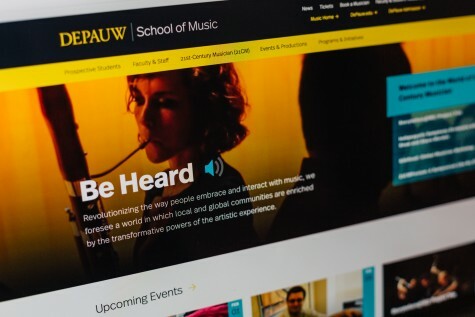 They needed to convey more of the feeling on campus, and for a college website, that is best done with media, not long written descriptions. We designed a home page photo gallery that lets visitors explore the location and campus through rich photography highlighting the beauty and vibrancy of the setting. We find it troubling that so many edu sites present the most intimidating and stress-inducing content in sterile and cold manners. We know teens and their families are most concerned about application requirements, deadlines and financial aid information, so why not make this content more accessible and friendly? We applied a friendliness overhaul to the Admissions and Financial Aid section, including easier-to-scan relevant content, a friendly and approachable voice and tone, and snapshots of important information that users need to find quickly. Conveying the value of a liberal arts education has come under increasing scrutiny, and the competitive market has gotten even more intense. 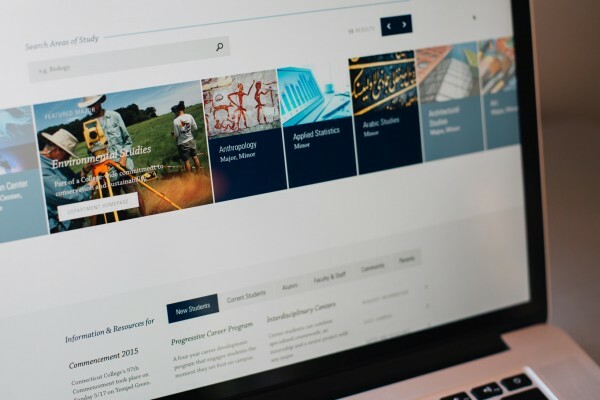 Connecticut College has the distinction of offering a progressive and immersive career program that engages students from the moment they set foot on campus, and beyond. 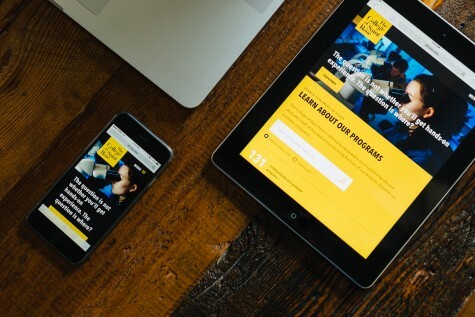 We made sure this program combined with the rigorous academics was being conveyed throughout the website experience, leaving no visitor wondering about the possibilities of successful outcomes. I was really impressed with how much I didn't need to worry about how things were going to work. At every stage, the design worked the way it should. It was a really positive experience, and it's a really great website. Not just beautiful, but purposeful.